Serving up dirt-laden tales of substance abuse, lonely highways, infidelity, damnation, and redemption, Martinsburg, WV’s the Fox Hunt play a brand of music anyone can identify with. Their strong writing and instrumentation is rounded out by a raucous live performance, making them as comfortable in a rowdy punk rock bar as they would be on your back porch. Singer/songwriter John R. Miller portrays an image of triumph over adversity. His writing plays on the failures and anxieties that exist in the hearts of human beings. Themes of defeat, loss, and missed opportunity abound in the apathetic wonderland his songs create, but by championing the underdog and reminding us that we are all human, his songs allow us to go on feeling more self-worth, unified in our shortcomings. Miller's characteristic doom-and-gloom writing style is countered by the band's creative contra positive, Matt Kline. While often times bleak, Kline's characters are optimistic and hopeful, and while he deals with such universally hard-hitting topics as alcoholism and abandonment, he often does so with forgiveness and an insightful tinge of humor. This emotional roller-coaster is bridled by the driving musicianship of Matthew Metz and Ben Townsend, whose musical influences range from string band music of the early 20th century to indie, and from D.I.Y. punk to arena rock. Utilizing the mandolin, banjo, and fiddle, the two emphasize both traditional and contemporary concepts to bring the songs to life. 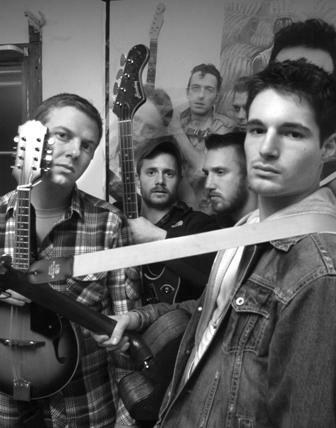 Equipped with an interesting and eclectic sound, the Fox Hunt meld the bright harmonies and acoustic instruments characteristic of early country/folk with rough, smoky, rock and roll lyrics and arrangements. Their debut full length, Nowhere Bound, is now available at shows and through www.skull-city.com!